A genetic test (or DNA test) is designed to look for variations in peoples’ DNA that can tell us something about them. A simple saliva sample, which contains cheek and immune system cells, is all that is required for an analysis since every cell in your body contains your DNA and your unique genetic code. There are several different types of genetic tests, but all of them begin by extracting your DNA from the cells in your sample and preparing it for analysis. Does a genetic test look at all of your DNA? There are many different ways to gather information from a DNA sample and, while reading the entire length of a person’s genome is possible, it’s not common at this time. Doing so is currently very expensive and, more importantly, unnecessary. Human DNA is about 99.9% identical from one person to the next, so most genetic tests focus on specific areas of a person’s genetic code, called markers, which are known to contain useful information. There are three main types of DNA that can be used for consumer genealogical testing. This is a test that looks only at the DNA inherited from the mother, meaning it only reveals information about the maternal side of the family. This test looks at the Y chromosome, which only appears in men. As a result, women cannot take this test and the results only show information about the paternal side of the family. This test looks at DNA across a person’s whole genome, which means anyone can take it to uncover information about both sides of the family tree, maternal and paternal. What type of genetic test is best? Well, we think this one is a no-brainer. Since the autosomal DNA test is usable by anyone and can reveal details about both sides of your family tree, it’s clearly the best choice for genealogical DNA testing. 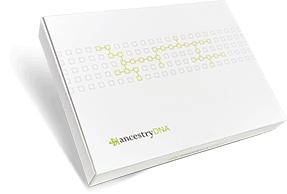 That is why AncestryDNA® uses autosomal DNA testing to generate your ethnicity estimate, connect you with new relatives, and deliver insightful details about who your ancestors were and where they came from.